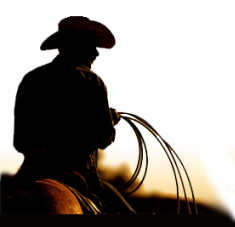 The Cattlemen's Martin Riedemann Society is pleased to administer several bursaries, grants and scholarships on behalf of the ranching industry. The Martin Riedemann Bursary was established in 1975 in honour of Martin Riedemann of Alkali Lake Ranch who passed away in a boating accident at the lake. At the time of his passing, Martin Riedemann was Vice-President of the BC Cattlemen's Association. The Gung Loy Jim Scholarship is funded by the Jim Family of Barriere, BC in their father's memory. The BC Cattlemen's Association and Beef in BC Magazine will provide bursary, scholarship and grant winners with a one-year free subscription to our industry magazine to promote interest and understanding of British Columbia's beef industry. There is one common APPLICATION FORM for the following four bursaries: Martin Riedemann, BC Cattlemen's Association, Rob Starr Memorial Bursary, RBC Dominion Securities. This bursary was established in 1975 in honour of Martin Riedemann of Alkali Lake Ranch who passed away in a boating accident at the lake. At the time of his passing, Martin Riedemann was Vice-President of the BC Cattlemen's Association. The purpose of this bursary is to assist worthy students from ranching families to further their education in any desired field of study. The ROB STARR MEMORIAL BURSARY is provided by family and friends of Rob Starr who operated Miocene Simmentals and was a long-time supporter of the 4-H movement and the beef industry. This bursary was established in 2000 with funds by the RBC Dominion Securities - Criterion Capital Group. The purpose of the RBC Dominion Securities - Criterion Capital Group Bursary is to assist worthy students from ranching families to further their education in any desired field of study. This bursary was established in 2019 with funds from the Pinantan Pemberton Livestock Association. The purpose is to assist worthy students from ranching families from School District 73 to further their education in any desired field of study. The Bostock and Fallis families have ranched in the Monte Creek are of B.C. since 1888. During that time, they have been instrumental in the development and activities within the interior of B.C. including politics, newspapers, charitable organizations, cattle organizations and the 4-H movement. To give back to the community, a fund has been established through the BC Interior Community Foundation to award two annual bursaries, as well as provide donation to charities within the area serviced by the BC Interior Community Foundation. These bursaries are intended to provide financial assistance to students who can show financial need and wish to further their studies after completing high school and are enrolled in a recognized post-secondary institution (trade school, college or university) within Canada. Applicants must have graduated from a secondary school within British Columbia and east of a line from Hope to Terrace. Two bursaries of $2,000 each will be awarded annually should suitable candidates apply. These scholarships were established in 2003 by the Jim family as a way to give back to the cattle industry, encourage the ranchers of tomorrow, and recognize their late father by establishing the Gung Loy Jim Memorial Scholarships. Little Fort Herefords continues as a thriving purebred & commercial family ranch in Little Fort, British Columbia, run by the Jim family. Two scholarships are awarded each year. The purpose of this scholarship is to assist worthy students from British Columbia, especially those from rural areas where cattle are raised, to further his/her education in whichever field they desire. This grant was renamed in 1971 in honour of William N. Bostock for his dedicated service to the BC beef cattle industry. Two grants are awarded each year. The purpose of this research grant is to assist research which will be of practical value to the beef cattle industry in British Columbia.